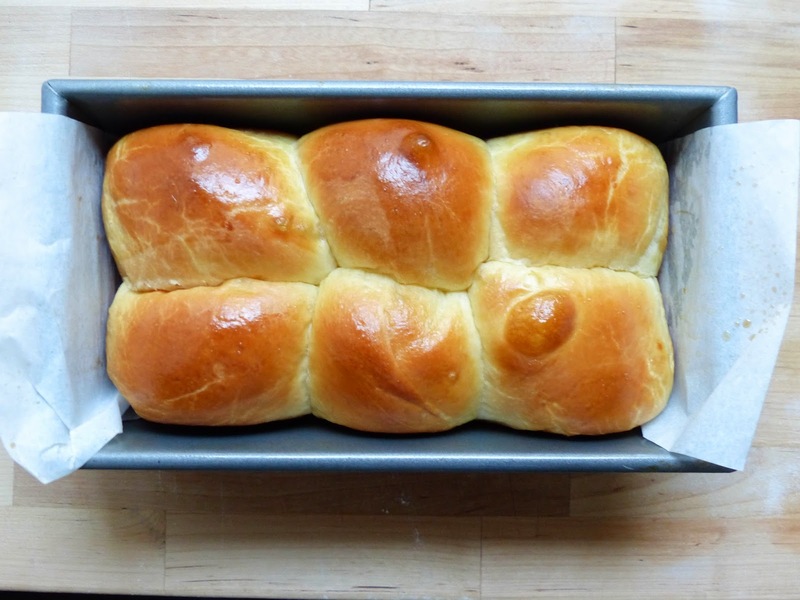 Nanterre is a town in France but also a delicious loaf of brioche bread. 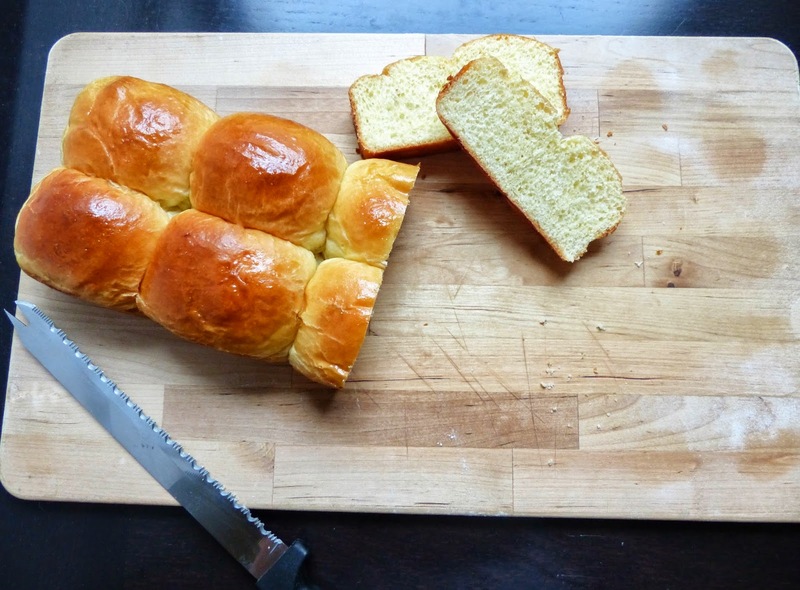 We've made brioche before in the book (craquelins, hot cross buns, and sticky buns), but this is the first of the brioche recipes to be classified as a bread. 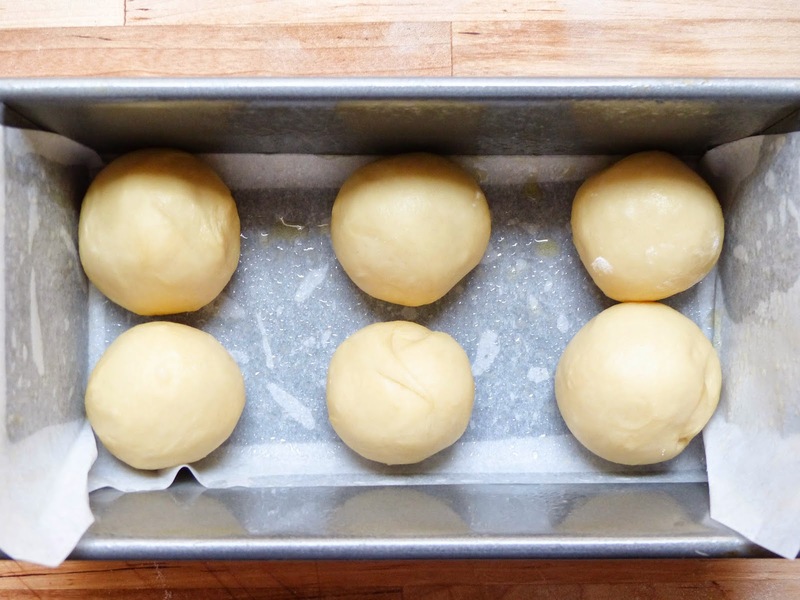 The dough is divided and rolled into balls, which are placed in loaf pans to rise. 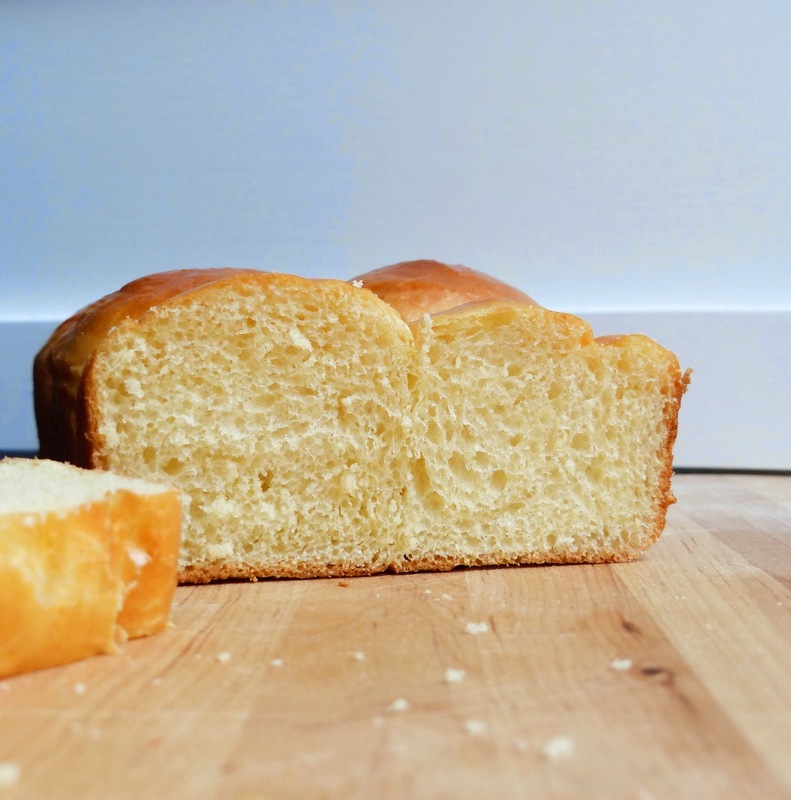 The end result is a beautiful loaf of eggy, buttery brioche. 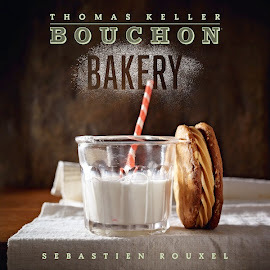 The French Laundry used to pair this with foie gras, but since it's been banned in California, instead Thomas Keller recommends using it for the ultimate BLT sandwich. Either way, it's an indulgent treat. 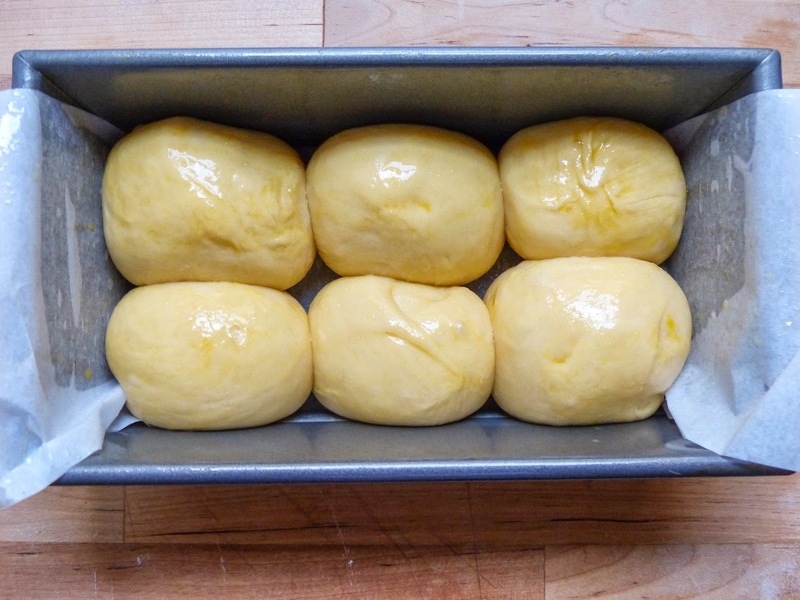 It's been a while since I made brioche, so I had forgotten that the dough must rest overnight. I intended to bake this on Saturday but I had to wait until Sunday. Oh well. You'd think after all this time I'd have learned to read the instructions thoroughly. Anyways, after resting, it was time to roll the dough. This technique was familiar, so I got it done in no time. You can actually feel the difference in tension in the dough under your hand while rolling it. I didn't have two loaf pans the same size, so I used one 8 inch and one 10 inch. I was skeptical that the little balls of dough would rise enough to fill the pans, but they did! I let them rise for a full 3 hours. While they were baking, a lovely warm buttery aroma filled the kitchen. I couldn't wait to dig in! But I did. Wait, that is. I removed the loaves and let them cool completely. They came out so golden and pretty! The inside is fluffy and light but rich too. I'm not a fan of BLTs, so I plan to make french toast with this tomorrow morning. Not a difficult recipe to make, it just requires a little bit of advance planning. It's worth it to have a loaf of this in the freezer for a rainy Sunday morning. UPDATE: This morning I made french toast with this bread. 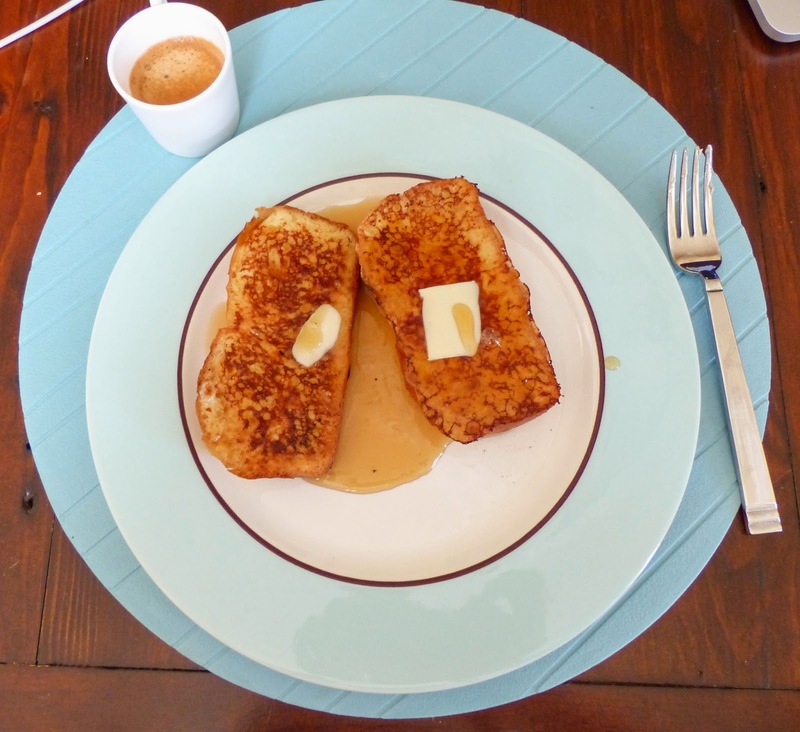 I had never made french toast before! I mixed up eggs, milk, cinnamon, sugar, vanilla, and just a splash of Grand Marnier. I cut the slices thick and melted butter in a pan. After about 2 minutes on each side, it was golden brown and perfect! I served it up with a pat of butter and lots of real maple syrup. What a delicious breakfast! My husband said it was the best french toast he's ever had. Not bad for my first time! This bread is perfect for this use, soft and eggy already, it soaks up the batter really well. This is going in my permanent rotation!